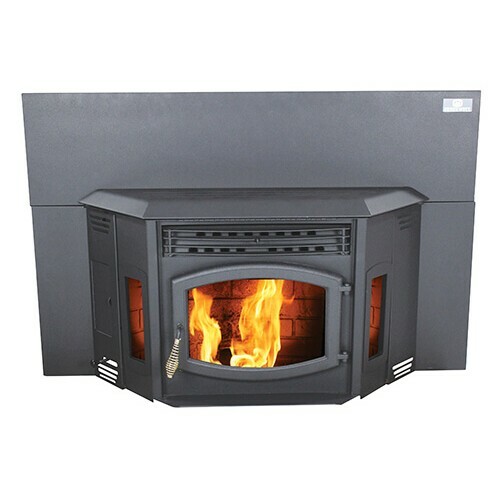 With the same unmatched features and style of the freestanding Blazer, the SP24I Blazer Insert brings warmth and efficiency of a pellet stove into your existing fireplace. The optional large flashing adds versatility in sizing, while the optional brick kit, log kit, and gold or brushed nickel door faceplates offer different style options. Up to 2,200 sq. ft.